Participants all over the world will arrive at Limerick for the 14th Funakoshi Gichin Cup in Ireland. The Championships will be held at the University of Limerick from the 14th to the 20th of August 2017. We are proud to announce that Elmien Viljoen and PW Pentz will be competing in this Championship in Ireland. 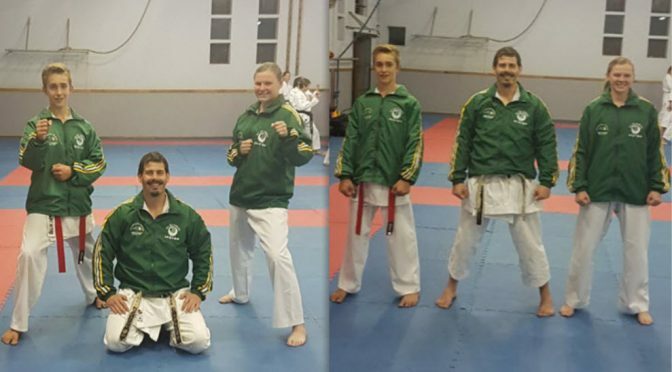 Solis Ortus is also proud that Sensei Eugene will accompany them as South African coach. Solis Ortus stand so proud to your great achievements and wishes you both all the best. Remember your greatest asset is not only your physical ability, but your mental ability. (Bruce Jenner) You have achieved; now be prepared! Be proud and always be an ambassador for both your Dojo and South Africa.